Former President Jerry John Rawlings has stated that a member of the ruling New Patriotic Party (NPP) has once revealed the major corruption practices in the party to him. 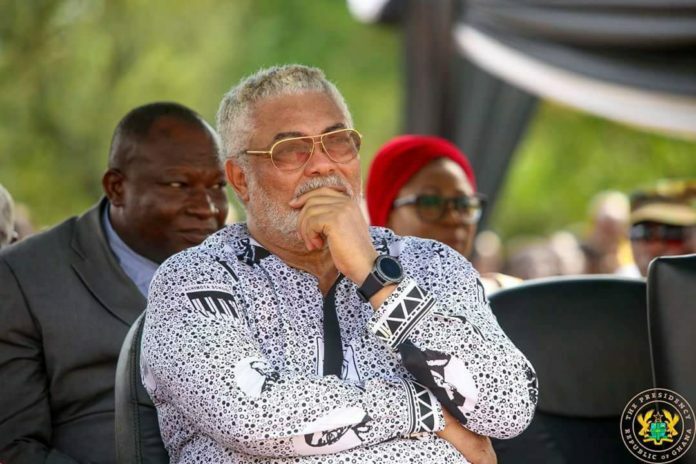 The Former Military ruler who was speaking to cadres and National Democratic Congress (NDC) activists at a Town Hall meeting in Accra on Saturday, March 18, Mr Rawlings explained that: “Some time ago, I was at a function, I sat beside a stalwart of the NPP party. He told me the theft; the corruption was just too much. I told him that a lot of those high profile thefts, there is no way it will be done without the collaboration of some of his own people”. In an attempt to fight corruption, government has appointed former Attorney General Martin Amidu, to pursue corruption cases and ensure that culpable entities are prosecuted. The country recorded its poorest Corruption Perception Index (CPI) in the 2017 report. The recent CPI saw the country drop 11 places from 70 to 81 out of 180 countries. Some critics have argued it signifies a loss in the fight against corruption. The 2017 CPI scored Ghana 40 out of a possible clean score of 100 which is the lowest in the history of the country’s score since the inception of the CPI in 2012. However government have attributed the drop in the ratings to acts of corruption under the erstwhile John Mahama-led NDC administration.